The inaugural ‘Mekong Mini Movie Festival’ (Mekong Minis), a short-film competition that celebrates the rich travel diversity of Greater Mekong Sub-region (GMS), is offering awards across several categories for the best submission that capture the essence of GMS daily life and travel. Three prizes will be awarded per country: Viewer’s Choice, Editor’s Choice and Industry Choice (Mekong Tourism Forum attendee) awards. The winners of these three prizes, as well as winners of category prizes sponsored by private companies, will be announced during the Gala Dinner at the Mekong Tourism Forum 2018 in Nakhon Phanom, Thailand on June 27. Three prizes will be awarded for the top regional submissions: Viewer’s Choice, Editor’s Choice and Industry Choice (Mekong Tourism Forum attendee) awards. The winners of these three prizes, as well as winners of category prizes sponsored by private companies will be announced at the ASEAN Tourism Forum during January 2019 in Vietnam. 3. The shortlisted submissions will be posted on MekongMinis.com to allow people to follow and get inspired by their journey experiencing the Mekong Region. In addition, they will be shown at international screenings, which will take place in collaboration with TravelMassive, the world’s largest community of travel industry insiders, leaders, and innovators. Submitting a film is simple for participants, who can just upload directly to their own Instagram, Twitter, or YouTube account by tagging their video with all three of the following hashtags: #mekongmoments – #minis – #country/destination plus choosing either #business or #experience. The contest will run in two stages, the first from January 25, 2018 until May 15, 2018 (for individual country submissions), and second stage lasting now until November 15, 2018 (for regional submissions – films that cover at least three or more Mekong countries). Complete rules and criteria to enter the Mekong Mini Movie Festival competition can be found here. 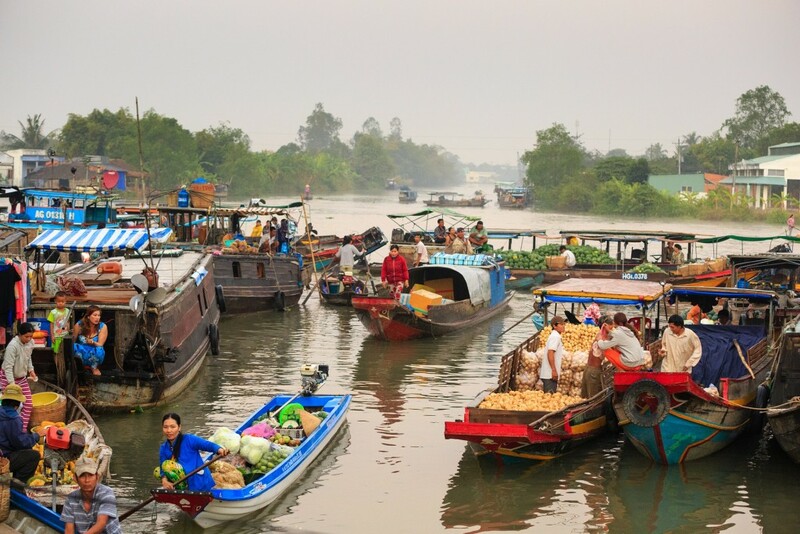 The Mekong Tourism Coordinating Office (MTCO), located in Bangkok, was set up with funding from the governments of the six Greater Mekong Subregion (GMS) countries – Cambodia, the People’s Republic of China, Laos, Myanmar, Thailand, and Viet Nam. The MTCO, which operates on annual financial contributions from each GMS country, acts as the secretariat for the GMS Tourism Working Group, comprising of senior officials of the six GMS countries’ National Tourism Organizations, to coordinate and facilitate sustainable tourism development of the GMS in line with the United Nations Millennium Development Goals, and promotion of the Mekong region as a single travel and tourism destination, in collaboration with the public and private sectors. The MTCO manages its award-winning MekongTourism.org digital platform as a one-stop platform to promote responsible and sustainable tourism in the region, as well as the annual Mekong Tourism Forum, which hosting is rotated among GMS countries.